I’ve got big hopes for the new year. But before we get too far into the new year, I want to pause long enough to show my appreciation for all that transpired in 2015. So many wonderful things happened! I want to cherish them because life moves so quickly. 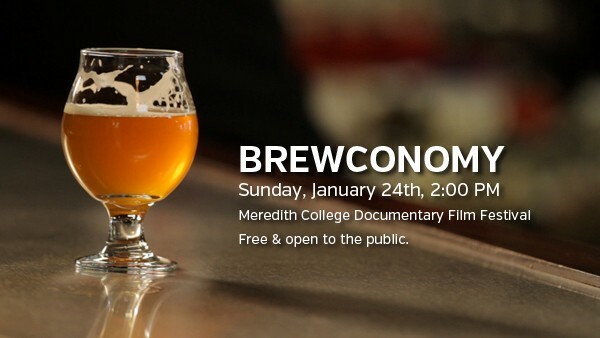 Brewconomy, a documentary about North Carolina craft beer, is my newest film. We hustled really hard to finish the film before April, which is NC Beer Month. My team. Y’all. They’re incredible. This film wouldn’t be finished without the amazing people you see listed in the end credits. I adore them so much. 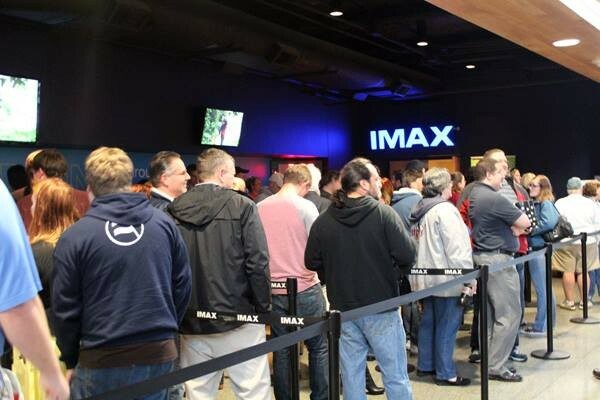 At the end of April, we premiered the documentary at the Wells Fargo IMAX Theatre at Marbles in downtown Raleigh, N.C., to a lovely and supportive crowd. We had a delightful panel discussion afterwards, too. It was glorious! Brewconomy premiered during NC Beer Month at the Wells Fargo IMAX Theatre at Marbles. Look through more photos of the premiere here and here. Since the premiere, we have screened Brewconomy as often as we can to keep up with demand. It’s been tough because each screening is so carefully thought out, with the support of so many wonderful collaborative partners. With each event we’ve worked really hard to “practice what we preach.” I love screening the film where we can have discussions afterwards, serve craft beer, and help stimulate the economy. It makes me really happy. In 2015, we also worked really hard on delivering Kickstarter backer rewards as promised. We hosted live events to deliver as many rewards as we could to say thank you in person. Then we started shipping rewards like crazy. 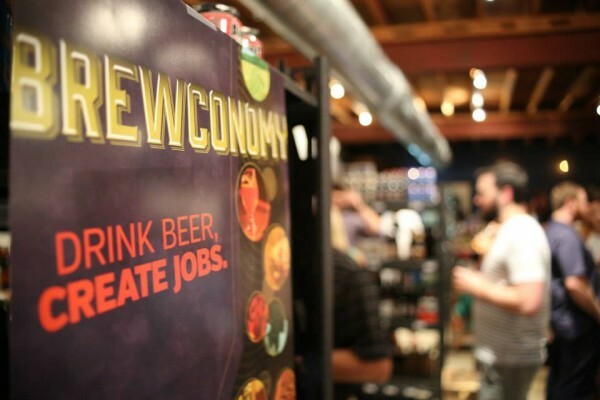 We were incredibly lucky to talk about Brewconomy on podcasts, blogs, and traditional media. Huge thanks to all of the kind folks who worked with us to share the film with their audiences! 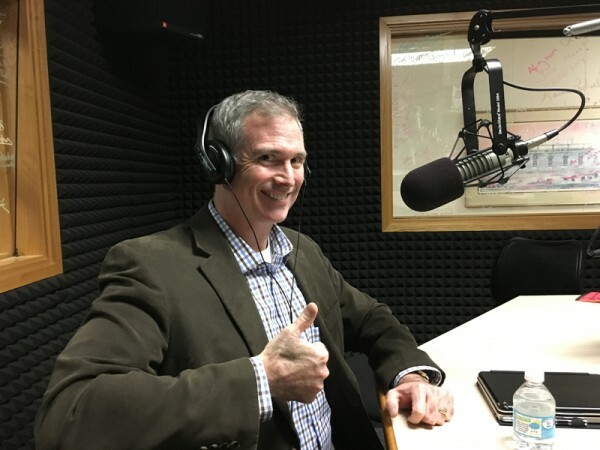 Shane Johnston at WCHL promoting Brewconomy leading to the Carrboro Film Festival in November. Although I’m a terribly shy person who prefers being behind the camera, I could joyfully talk about filmmaking and NC craft beer all day long. Promoting Brewconomy and my team was absolutely rewarding. I’m so grateful for the opportunities we had in 2015. Next year we will continue screening the film. Join us at the next screening, which will be at the Meredith College Documentary Film Festival on Sunday, January 24th, at 2:00 PM. It’s free and open to the public. Get more info on the screening here. We’re also working on other ways to share it digitally, as we’ve had a lot of nationwide interest in seeing it. Please stay tuned for more info on that! THE TRIFILM SOCIETY GREW. A LOT. This year brought a lot of significant changes to TriFilm. The TriFilm Society is something I started in 2009, while I was in the throws of struggling to make my very first feature-length film. I began organizing socials to support my fellow filmmakers, repay their kindness, and pay it forward so others wouldn’t struggle the way I had. As a result, the TriFilm brand was intertwined with my own. It was high-time I worked on separating my personal brand and creating a new one for TriFilm. Our new look. Scope out the website and sign up for free email updates here. So we launched the new TriFilm website and blog this year. We have a community calendar filled with upcoming film-related events, as well as a form you can use to submit your own. 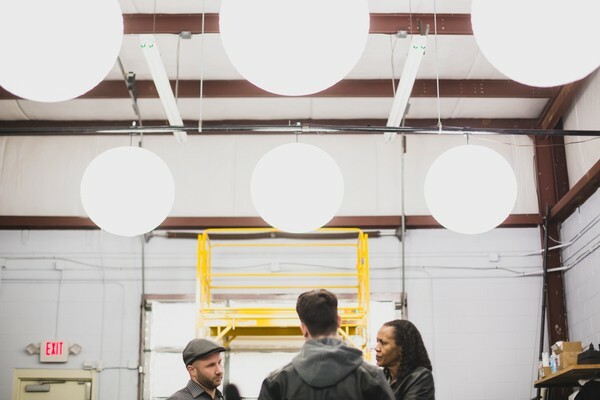 In 2015 we hosted socials, panel discussions, and special-interest events to build a stronger film industry in North Carolina. We also restructured a lot of things, and said farewell to six years of free socials. We formed new partnerships and collaborations. 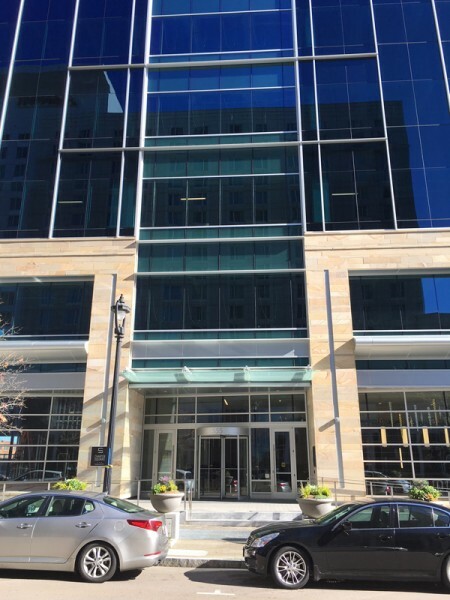 The new TriFilm Society headquarters in downtown Raleigh, N.C.
We also welcomed our very first members! There a lot of wonderful things happening behind-the-scenes right now. More details will be shared soon, I’m sure, but know this: our members have so many wonderful things in store for them in 2016! 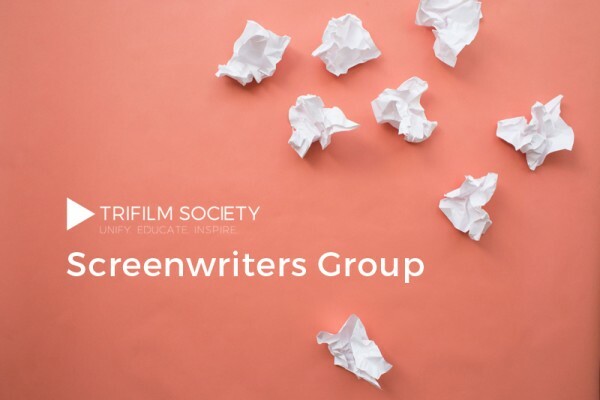 The Screenwriters Group is a monthly meeting for TriFilm Society members to help our writers succeed. To put it to you straight: the TriFilm Society has grown considerably. We’ve got BIG plans for 2016, too. If you’re a filmmaker who wants inspiration, connections, and resources please take advantage of all the things I’m doing through the TriFilm Society. In 2015, I became a full time filmmaker. One day I’ll write plenty about the adventure. Right now, however, it’s a little too raw right now to comment much on it. I’m not sure what the future holds (none of us do), but I know it’s lookin’ good. I’ve gained a lot of valuable experience and I’m excited about putting it to work. In the meantime, as the immense pressure and stress of working so hard for so long starts to subside, I find myself enjoying more time with my loved ones. I’m reveling in the new reality of being able to work on film-related things during the day and revive some relationships that suffered so greatly over the past few years while I was working 24/7 and adjusting to married life. Freeing up this space means I have the energy to be physically and mentally present when it matters. It means I can joyfully serve the people I love by giving them my time, attention, and affection. This is incredibly important to me. I’m so thrilled to have more time for the things that matter to me and bring me joy. Interestingly enough, as the year ended, I began to feel like I had finally found my voice as a filmmaker. It’s a really wonderful feeling to know what you stand for, won’t compromise on, what stories you want to tell (and how), and where to find the support you need to make it a reality. When I get to the end of this journey, whenever that day may come, I want to rest easy knowing I did everything I could to make movies that make the world a better place. I want to create cool and interesting stuff with people I adore, trust, and respect. I want to keep getting better as a leader and storyteller. There are some really exciting things in the works. As I continue to step up my game, I know that the two new films I’ve started will reflect the confidence I’ve found in taking such big risks over the years. I know that they’ll be representative of the things I worked hard to learn. Perhaps, most importantly, I know these new films will be representative of the incredible support I’ve been lucky enough to find along the way. Next year is going to be a big one. I’d love for you to come with me on this grande adventure. We’ve got some exciting things to do together in 2016. Brace yourselves! Sign up for free emails here, or use the form in the right side bar at the top of the page. Follow me on Facebook, Twitter, and Instagram for more behind-the-scenes info as well. Tell your friends, too! Please use the comments, like, and share stuff so I know you’re listening / reading! I’d love to know what kind of questions you have and information you want!